Steve Pollack offers a powerful form of alternative marriage counseling based in the wisdom tradition of Nonviolent Communication. Referred to as NVC, it’s an emotionally dynamic process. Pioneered by Dr. Marshall Rosenberg, NVC gets dramatic results! And it does so in a fraction of the time required by traditional therapy. Clear, compassionate connection is the key. Through the simple practice of couples communication counseling, Steve Pollack can help you to reconnect with and have empathy for your partner. 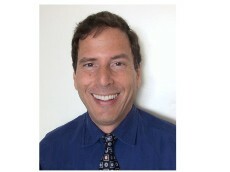 Steve Pollack brings over a decade of experience customizing this profound healing process to each unique couple. Though not a traditional psychologist or therapist, Steve can help you achieve your relationship goals. He will support both of you in achieving balance, harmony and understanding. For an appointment or more information, visit Steve’s NVC Couples Communication Counseling website here. Why Pursue Couples Communication Counseling? Sometimes seen as alternative marriage counseling, this work is derived from the humanistic psychology of Carl Rogers. It’s a unique form of deeply empathetic counseling. There is a strong emphasis on providing as many layers of empathy as needed. Only then, when you both have had your needs for empathy fulfilled, does the dynamic change noticeably. Both of you feel more relaxed and trusting. Creative ideas flow more easily as you move on to problem solving. Strategic, creative brainstorming helps to find solutions, often in less than 20 minutes! When issues arise in your relationship, you can turn to Steve Pollack time and time again. His specialized service of couples communication counseling has helped many clients. Steve Pollack supports you in finding your way through the emotional jungle. He assists you in expressing your deepest feelings, longings and needs within the relationship. As a coach, he expertly guides you toward your own inner wisdom as a couple. He shows you precisely how to build upon your repertoire of connecting skills. You may be surprised at how many nonviolent ways you’ll find to express yourselves. You and your partner may already know the connecting power of couples communication counseling. Or, you may simply want to experience it for the first time. You need only pick up the phone or send an email to Steve Pollack at info@mediation-usa.net. Take that first step now. Make a commitment to your personal growth as a couple. Make that investment in the well-being of your relationship. Give couples communication therapy a chance! It can be done from the comfort of your home or office, by phone or Skype. Steve Pollack has a B.A. in Communication, and specializes in couples communication counseling. He has over 90 hours of combined training in mediation and interpersonal communications, and over a decade as a practitioner. Steve has attended in-person trainings and workshops with Dr. Marshall Rosenberg, author of NVC. He’s also trained with numerous certified NVC trainers. He’s facilitated ongoing practice groups and given public talks. Steve has offered individual counseling, alternative marriage counseling and family therapy.